← Version “Support the Troopers” Released! 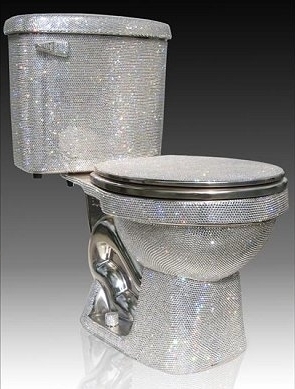 So we’ve now been on Steam for about 2 months, and while I can’t yet afford a diamond encrusted toilet, things are going well. In addition to a nice launch week, we got to be part of their recent sales, and were up for a Community’s Choice vote. All of this means that lots more people both know about and are already enjoying Wrack, which is a wonderful thing! But how have things fared in the business side of things? What kind of impact has being on Steam had on our sales? Without getting into figures (unless we’re putting up DayZ-type figures, nobody is going to be impressed), I’d like to share how it’s impacted us. If you’re also a developer, enjoy the business side of games, or like my witty writing (PLAY ALONG), then you should get something out of this. #5). We made in the first week what we did in a year and a half of alphafunding. Now, granted we didn’t make $5 trillion during our alphafunding period (as evidenced by my bathroom’s peasant toilet), but our Steam launch week was still huge by our standards. If there was ever any doubt over the impact of simply being on the Steam front page, this should help put it to rest. We didn’t even have a Kickstarter or much of a buildup to this – we just came out of nowhere. #4). Sales have been quite steady. When we first started alphafunding, sales dropped off rapidly after the first day or so that the game went on sale. On Steam, however, that hasn’t really been the case. On the second day, we only had 4% less sales over the first day. That’s not much of a drop off at all! Even after no longer being on the Steam front page, sales were still 40% of day 1’s sales 5 days later. Certainly a lot of this could be due to good word of mouth, YouTube playthroughs, and reviews, but Steam generally does a good job of getting your game exposure – either from suggesting it in their store, or by letting people know that their friends are playing it. #3). 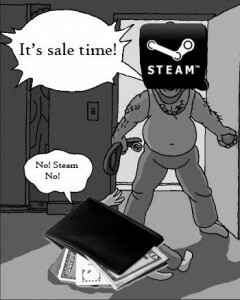 Sales from non-Steam sources have dried up. Now that the game is available on Steam, that seems to overwhelmingly be where people want to purchase the game from. Even though every other place Wrack is available offers a Steam key with their purchase (seriously), people generally still want to buy the game through Steam only. Granted, we do have a bit of a flashing sign on our website saying “Don’t buy the game here! Buy it on Steam!” so it’s not all that unexpected in our case, but certainly that can’t be good news for other distributors. #2). Sales were much higher during their sales. Assuming your brain is properly attached to your body and you haven’t spent all night bashing your skull in with a sledgehammer, you know that people do a lot of buying on Steam during their sales. The left side of the graph is when we first launched. The first hump is the autumn sale and the second is the holiday sale. As you can see, the daily number of units we sold during sales was many times more than normal. Typically, there was a big spike when the sales first started (I assume from people wishlisting the game, and then Steam alerting them of the price decrease), a stabilization period, and finally a spike on the last day of the sale. #1). Sales were at their absolute highest after LOSING a Community’s Choice vote. For those of you who aren’t familiar with the whole “Community’s Choice” thing, every 8 hours Valve picks three games that fight to the death go up for a vote. The thing they’re voting on is which game should receive a massive 8-hour long discount. To give you an idea, Wrack was normally 40% off during their sales; however, had it won the vote, it would have been 80% off – resulting in it being a mere $3 because apparently I hate money. When I heard that Wrack was up for a vote, I thought to myself “Well, I guess we’re not going to have any sales over the next 8 hours while people wait to see if it wins or not.” Not only was I (as usual) wrong, but sales actually picked up big time! Whether it was from people wanting to support us developers (THANK YOU! ), or people not wanting to wait 8 more hours to get their hands on Wrack, sales really shot up over that period. After the vote ended and we sadly didn’t win, sales shot up anyway. Many more people were exposed to the game and decided it was something they wanted to try out – despite it no longer costing less than a gas station burrito. Ultimately, it ended up working out well, though I can only imagine what would have happened had it actually won. So there you have it. It’s been an interesting and exciting ride so far, and with a final release, Workshop launch, and some other things on the way, we expect that to continue on for quite some time. But seriously, though, that’s fantastic news. I’m glad to see things are going well.